The new GALERIE 100% Cotton fourdriner-made rag papers lead the way within the range in meeting the needs of professional fine art printers. 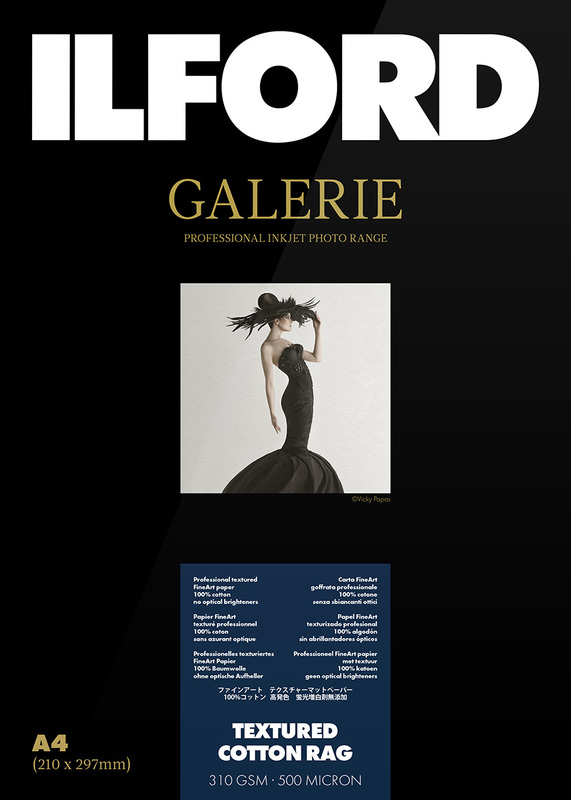 Photographers and print-makers alike can rely on these new papers to produce the highest quality images they have come to know and love from ILFORD. GALERIE Smooth Textured Rag is available in sheets and rolls and is compatible with pigment based printers.